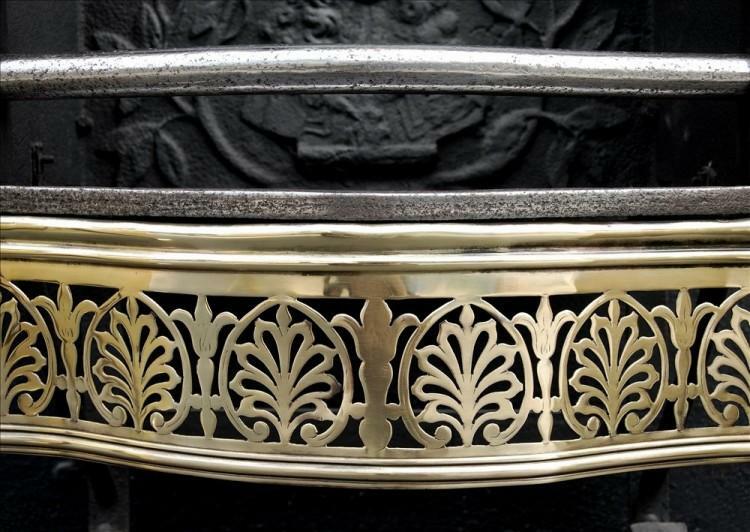 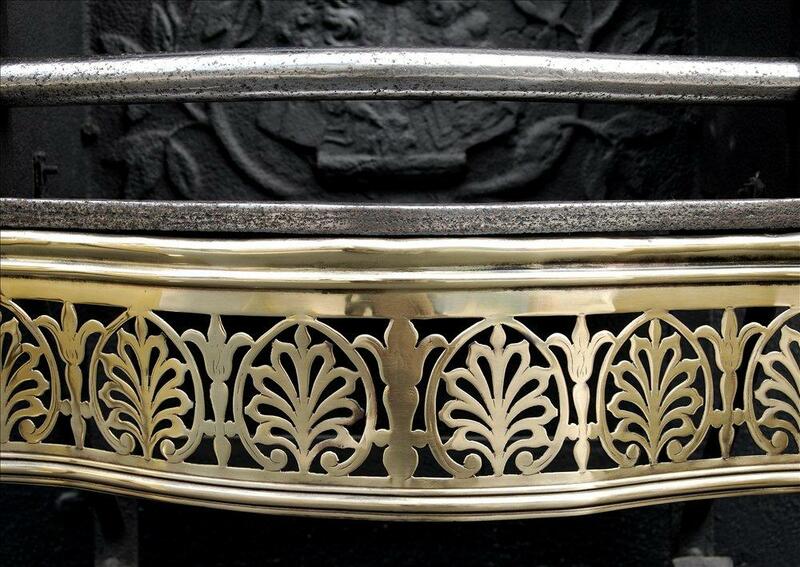 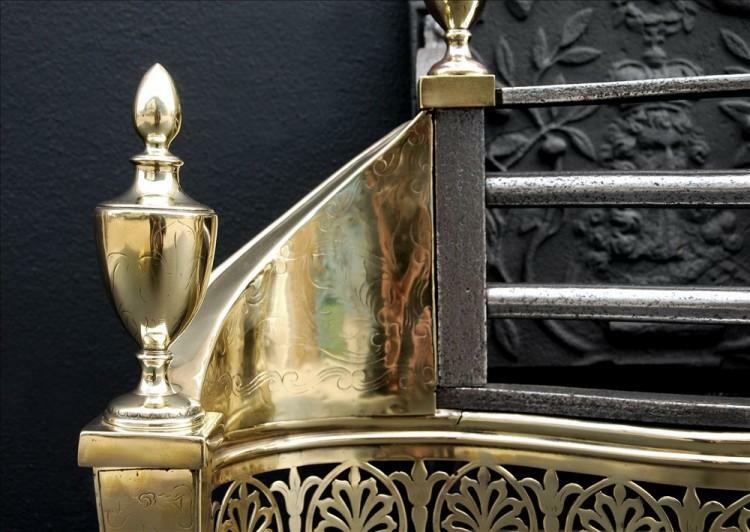 A 19th century English brass and steel firegrate. 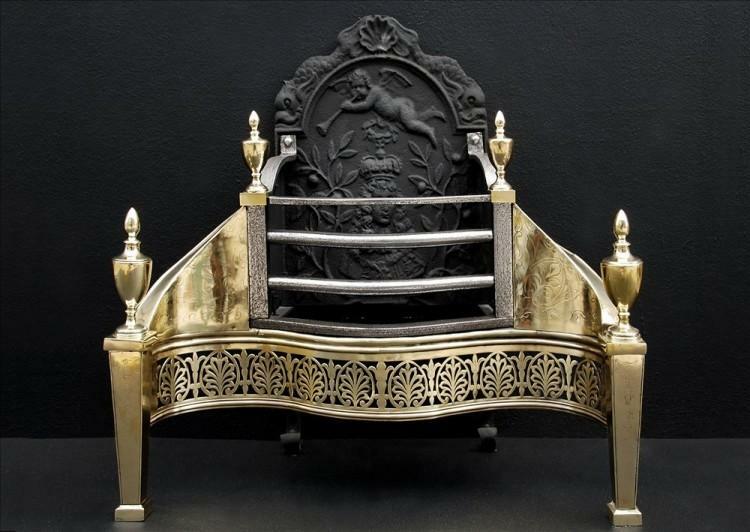 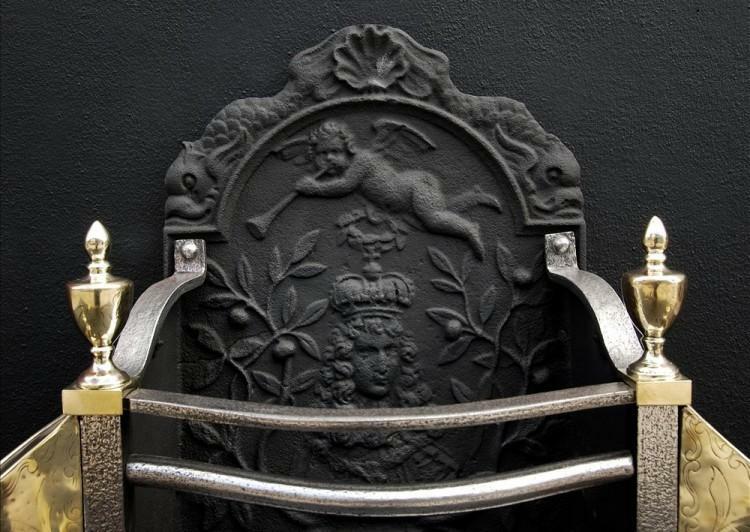 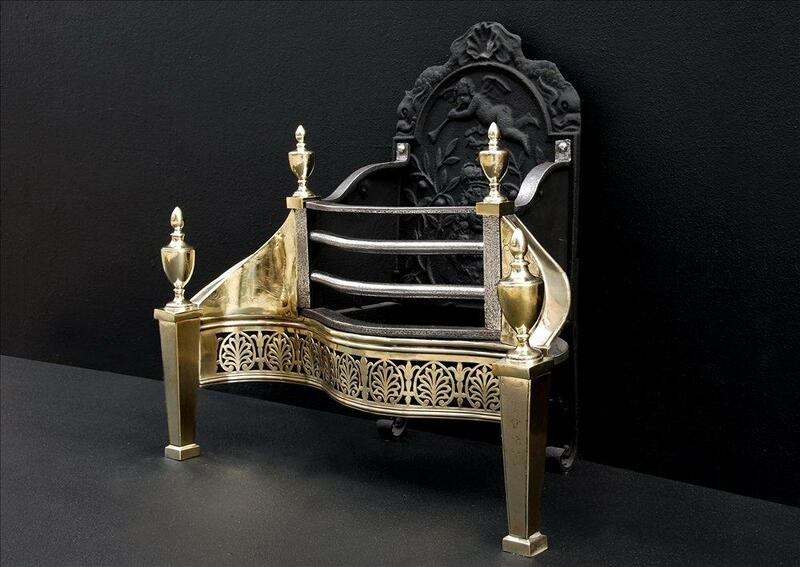 The pierced brass fret with Athenian motif, the engraved tapered legs surmounted by large finials, the shaped cast iron front bars flanked by engraved wings. 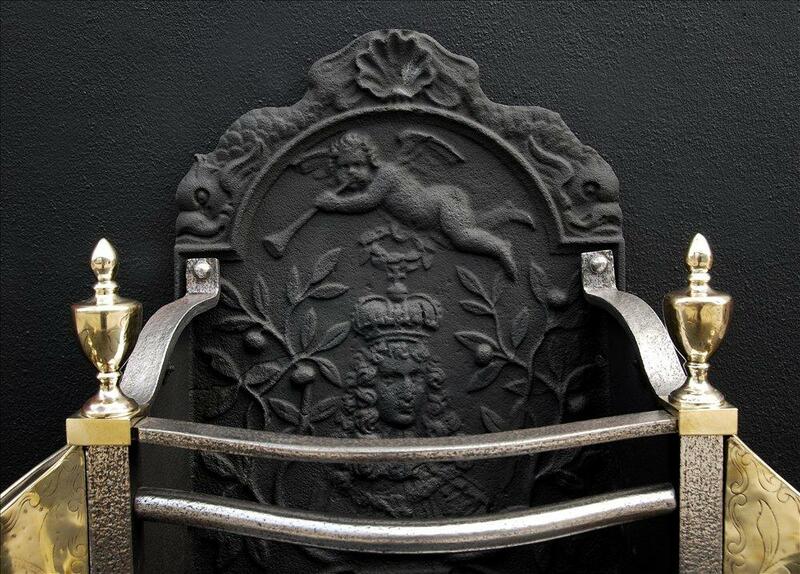 The cast iron backplate with cherubs and regal figures.